You are here: Home / home improvement / How To Choose An Air Conditioning System? 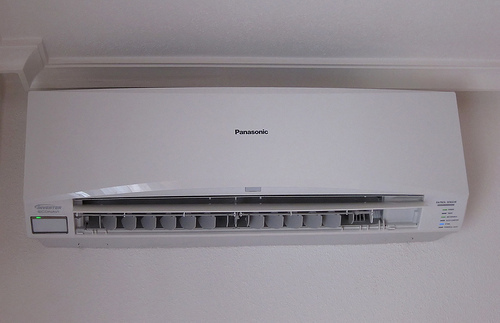 What Should I Look Out For When Buying An Air Conditioner? You will want an air conditioning unit that runs quite efficiently, it can cost quite a lot to have your air conditioning on quite a lot, so choose one that is energy efficient. This will ensure that your energy bills do not go too high when you run the system. You will want a system that is known for being reliable and long lasting; it is also nice if the system runs quietly as well. You do not want to choose a system that is too small as it will be difficult to keep your home cool for long periods of time. You shouldn’t just assume that you need to go ahead and buy a large cooling system now as that is not the answer. Many of the larger air conditioners will run on a cycle (turning themselves on and off) which can waste a lot of energy. To choose an air conditioner suitable for your needs, you should make an assessment of your cooling requirements. If you need to cool quite a large room you may want to look at the air conditioners suited for commerce reasons, these conditioning systems will work efficiently at cooling a large room/area. How Do I Know If My Air Conditioner Is Energy Efficient? It is now required by law that air conditioning manufacturers should rate their products to its energy efficiency; this will make it much easier for you to find an eco-friendly unit. What Is The Difference Between A Good and A Bad Unit? Most people will advise you to choose your air conditioning unit carefully as you don’t want to choose a bad one. But what actually is a bad unit? The most vital part of an air conditioner is the compressor, this acts as the heart of the unit. The hotter the day is, the harder the compressor has to work. Some manufacturers will choose the cheaper option when producing the compressor, meaning they won’t last as long. You should also look out for a louvered steel cabinet as this will protect the coil inside from any damage. Joshua works on behalf of Right Climate who manufactures a variety of commerce air conditioning units. Check out the complete range by clicking here.